Bohemian Rhapsody—you already know the plot and it’s a tad long but the music is great and Rami Malek is fabulous as Freddie Mercury. The movie culminates with a virtually shot-by-shot recreation of the legendary Queen performance at Live Aid, considered by many to the greatest live performance in all of rock and roll. A little puzzling why they didn’t use the original. Worth seeing in the theater, if you don’t have a home theater. Crazy Rich Asians – the all Asian cast made it notable and the shots of Singapore are great but it’s only average as a romantic comedy. The leads lack chemistry. The Last Kingdom (Netflix)—I’ve watched all three Seasons and enjoyed them. Season 3, however, is beginning to lose its legs. The on-again, off-again love affair between King Alfred and Uhtred has worn its course and I swear I’ve seen the jump in the boats and row away under falling arrow scene more than once before. Still, it’s not boring. Bodyguard (Netflix) —taut British thriller. I enjoyed it and at 6 episodes it’s less of an investment than some series. Homecoming (Amazon Prime)—sold as a Julia Roberts endeavor. She’s fine but the real star is the mysterious atmospherics and unusual shots and edits. I didn’t realize till the end of the first episode that this was a Sam Esmail show. Ah, now it all makes sense. If you liked Mr. Robot, give it a shot. I haven’t finished the first season and I may not, so I can’t say for certain whether the investment is worthwhile. Daredevil (Netflix) I have already mentioned. Now cancelled, despite a great third season. The Man Who Would be King (Amazon Prime) – a John Huston classic featuring Sean Connery and Michael Caine. One of my favorites. Based on a story of Rudyard Kipling which was based on the true story of Josiah Harlan, Prince of Ghor. 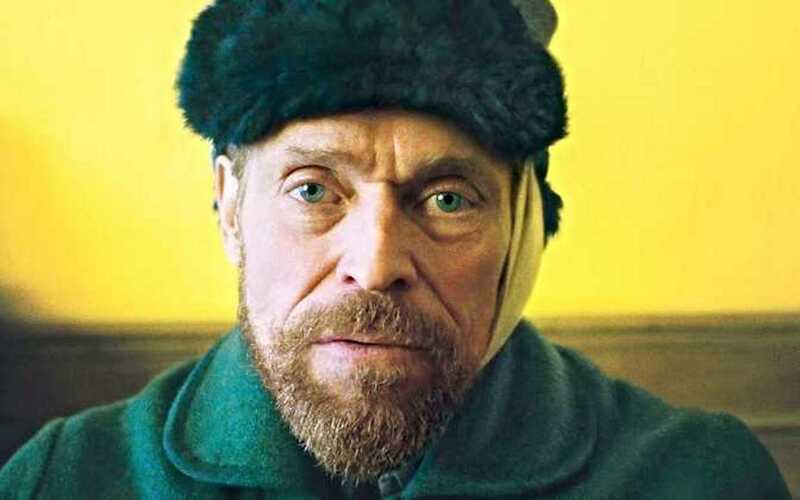 At Eternity’s Gate: A stirring and powerful performance by Willem Dafoe as Van Gogh. Directed by Julian Schnabel, himself a noted artist. The camera work–meant to convey a “you are there” point of view and also the sometime madness of Van Gogh–was disconcertingly jumpy at times. Schnabel would have done better stepping back and placing more trust on Dafoe’s performance and also the cinematography of Benoît Delhomme. Oddly, Schnabel insists Van Gogh was murdered when suicide is the accepted account and one that rings true, even to the film itself. Machines (Amazon Prime)–an excellent documentary illustrating a day in the life of a textile factory in Gujurat, India. The pictures do the work, very little commentary. Dickensian. Especially striking to an economist , how inefficiently the factory is being run. Quality control, inventory management and maintenance are clearly atrocious. I am reluctant to claim something is inefficient but we have strong experimental evidence that management quality in these firms is very low and that better management could more than pay for itself. What should I ask Elisa New? Elisa New…is a Professor of English at Harvard University. She holds a B.A. from Brandeis University (1980), as well as a M.A. and a Ph.D from Columbia University (1982 and 1988, respectively). Her interests include American poetry, American Literature-1900, Religion and Literature, and Jewish literature. Before moving to Harvard, she taught at the University of Pennsylvania. Here is her Harvard page. She also hosts the new PBS show Poetry in America. To be clear, I consider this report speculative. But not impossible. In their conversation, she and Tyler cover her illustrious tennis career, her experience defecting from Czechoslovakia and later becoming a dual citizen, the wage gap in tennis competition and commentary, gender stereotypes in sports, her work regimen and training schedule, technological progress in tennis, her need for speed, journaling and constant self-improvement, some of her most shocking realizations about American life, the best way to see East Africa, her struggle to get her children to put the dishes in the dishwasher, and more. NAVRATILOVA: I just wanted to leave no stone unturned, really. The coach, obviously, was technique and tactics. The physical part was training, working very hard. I’ll give you my typical day in a minute. The eating was so that I could train hard and not get injured. So it all came together. The typical day, then, when I really was humming was four hours of tennis, 10:00 to 2:00, two hours of drills and maybe two hours of sets. Then I would do some running drills on the court for 15, 20 minutes, sprints that if I did them now, I wouldn’t be able to walk the next day. NAVRATILOVA: You know, 15- to 30-second sprinting drills. Then we would eat lunch. Then I would go either play basketball full-court, two on two for an hour and a half or little man-big man. It’s two on one. I don’t know, those people that play basketball. You just run. You just run. COWEN: Which one were you? NAVRATILOVA: It switches. Whoever has the ball is the little man. No, whoever has the ball, it’s one against two. Then you play little man, the person plays defense, and then the big man plays center. It’s not two on one, it’s one against one and then one. Then whoever gets the ball goes the other way. It’s run, run, run. Then I would lift weights and have dinner either before lifting weights or after. So it was a full day of training. COWEN: What about 9:00 A.M. to 10:00 A.M.? COWEN:Billie Jean King once suggested that you use writing in a journal every day to help you accomplish your goals. How does that work for you? What is it you do? Why do you think it works? …Try to be honest with yourself. Be honest but also be nice to yourself. You see that with most champions. They’re perfectionists. You beat yourself up too much. I preach and I try to strive for excellence rather than perfection. If you strive for excellence, perfection may happen. [laughs] It’s good enough to be excellent. That’s good enough. You don’t need to be perfect because perfection just happens by accident. COWEN: What was it like to go skiing with Donald Trump? NAVRATILOVA: Tyler, you need to drink more water. You’re not hydrating at all. Remember, above all else, sports is cognitive! These are some of the smartest humans of our time, even if it is not always the kind of intelligence you respect most. The Push on Netflix is a deeply disturbing replication of the Milgram Experiment. The question it asks is whether someone can quickly be convinced to commit a murder? Spoiler alert: yes. British mentalist Derren Brown and a cast of confederates create an evil version of the Truman Show. By taking an individual from one seemingly minor moral deviation–labeling meat canapes as vegetarian–to another, to another, Brown puts people in a situation where by the end of one hour they are so emotionally disoriented and stressed that they will try to commit a murder to relieve their tension. If you had asked me yesterday whether I thought it would be ok to run the Milgram experiment again, I would have said yes, as science. Today, I am not sure. What Brown does to these people for our entertainment (?) is disgusting. I feel complicit in having watched. Yes, I know, I am writing about it. I’m not sure what to make of that either. As far as I can tell, the experiment is real. I’d be happier if it were fake but the results are consistent with previous Milgram replications. But if it is real did we then watch attempted murder? I am reminded of Leo Katz’s, Bad Acts and Guilty Minds. If a man fires a gun aiming to kill but the gun is defective is it attempted murder? Surely, yes. If thinking it a deadly poison a man adulterates a drink with sugar is it attempted murder? What if a sincere believer in voodoo tries to kill by sticking pins in a doll? Aside from the legal issues, what Brown does to the participants is awful. How will they live the rest of their lives? Jordan Peterson says that you cannot be a good person until you know how much evil you contain within you. Well the people Brown experiments on know the evil that they contain but will they become better people? Or will they break? Brown doesn’t seem to care. In some sense, the subjects have consented. Months earlier they applied to be on a show but they were told that they had been rejected. Perhaps you think the participants figured it out. You will have to judge for yourself but it all happens so quickly that I don’t think that is plausible. Moreover, if you figured it out wouldn’t you want to be the hero rather than the prison guard directing the Jews to the ovens? Does The Push have any socially redeeming value? I hope so. Phillip Zimbardo of the famous Stanford Prison Experiment was so upset by his research that he started the Heroic Imagination Project, (I wrote about it here). The Heroic Imagination Project attempts to turn the issue around by asking what helps people to resist authority? And how can we train people under stress to draw on their heroic reserves? 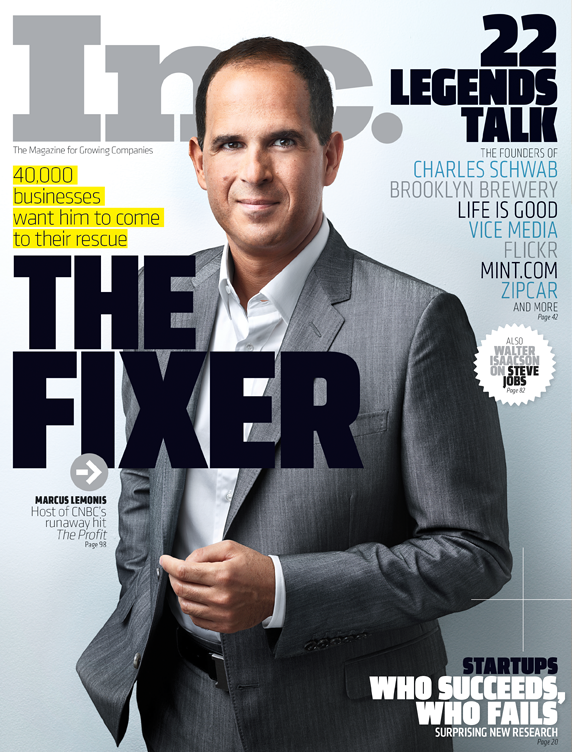 Netflix has shown us that the Heroic Imagination Project is sorely needed. Maybe next time Netflix can devote some of their considerable resources to helping us resist the push.